As criminals go, the Lennie mutineers were neither organized nor gifted. Indeed, they likely did not fancy themselves mutineers when they perpetrated a triple-murder of the officer corps on board the vessel during high seas. Matteo Cargalis, Pascalis Caludis, George Kaida, and Giovanni Carcaris were hanged on this date for that “atrocious conspiracy” in Newgate prison’s largest mass execution behind closed doors. 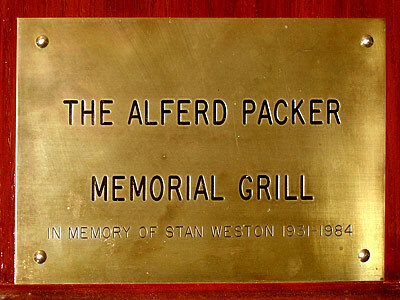 As they say, you get what you pay for, and Captain Stanley Hatfield apparently didn’t pay too well. His ragtag crew of multinationals — Turks, Greeks, Dutch, Belgians, and possibly others (Hatfield himself was a Canadian) — was in it for the money when the vessel left Antwerp bound for New Orleans on 24 October 1875. The circumstances of the mutiny’s start are hazy, but what is clear is that the entire ship’s complement excluding first officer, cabin boy, and steward were on deck in heavy seas about 10 days out. 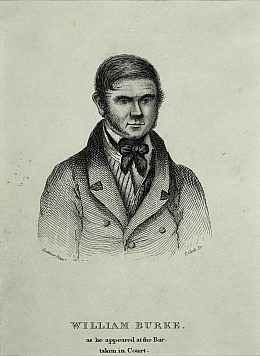 What seems to have been a minor labor dispute resulted in Hatfield and Second Mate Richard Macdonald being summarily dispatched by stabbing; the first mate, Joseph Wortley, was sought out below and shot in his quarters. Since the crew was all in now, the murderers and a small group of associates pressed the remainder of the deckhands into service. The two remaining persons belowdecks were now let out. 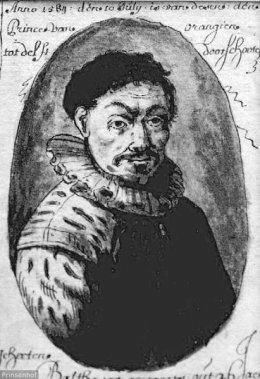 The Belgian steward, Constant von Hoydonck (spelled in various ways, but Anglicized in what seems to be the most popular way), and the cabin boy, Henri Trousselot, were given the option to join the rest of the crew. To the now-leaderless and ill-educated rebellious deck crew, Von Hoydonck’s literacy made him was the best hope of finding safe harbor, and Von Hoydonck hammed it up like Mark Hamill going on about Tosche Station. Trousselot was worth little (though he was also literate), and he gamely followed Von Hoydonck’s lead and elected to join the mutineers. The rest of the tale reads like a Hardy Boys story, with an implausible plot built around incompetent characters. Apparently, one of the Greek crew members knew someone back home that he felt would be interested in the vessel, so the crew now had a “plan”. All they needed was a quick trip through the Strait of Gibraltar followed by a trip across the Mediterranean, and they were home free! Von Hoydonck volunteered to navigate the course to the Strait, but rather than head southeast, he led the ship straight back toward the French coast. When France was sighted he brazenly told them it was Spain, and sailed along the coast. By November 14 he had navigated the Lennie between the Isle of Rhe and the French mainland. In spite of rough seas he brought the ship almost within hailing distance of the short and then calmly ordered the anchor to be let go. This was carried out promptly enough by the slow-thinking mutineers, but after some ten minutes what intelligence they had started to function, and they swarmed round remanding to know why they were at anchor. [Von Hoydonck] surveyed them coldly and pointed out that that the coast of Spain (which, of course, was some 250 miles away) was rocky and dangerous, and as they could not risk standing out into the traffic lanes they must anchor here until the heavy sea subsided. 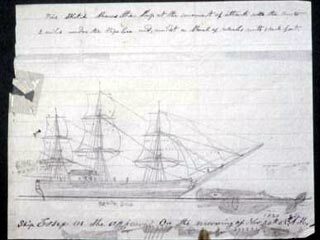 The mutineers were not satisfied with this explanation and angrily threatened to send him after the ship’s officers. [Von Hoydonck], playing his part superbly, indignantly informed them that as they seemed to have so little faith in his handling of the ship they could sail her themselves. He then went below, slamming the companion door behind him as if in a temper. Von Hoydonck then had Trousselot write up notices of the mutiny in French, English, and Dutch; these letters were placed in a dozen or more bottles and slipped out a port hole, hopefully to quickly reach shore. Meanwhile, the mutineers decided they really needed that navigationally competent steward and urgently repaired relations with him. The storm subsided during the night and Von Hoydonck got some sleep. By morning, the mutineers had taken the initiative, and they rounded the Isle of Rhe and traced down the Isle of Oleron toward a lighthouse that — to the geographically confused crew — looked mighty like the Pillars of Hercules. Unfortunately, it failed to meet the one critical test: the pinch of island and shore lacked the distinctive Rock of Gibraltar. 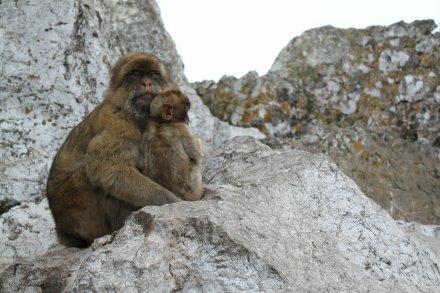 … and Gibraltar’s distinctive Barbary Apes. Von Hoydonck offered the lame excuse that, instead of risking the Mediterranean, he had led them to a nearly uninhabited part of the French coast, where they could get off the boat without risk of being found out. Six of the more aggressive members of the mutineers took this bait, so they hopped a life boat and scuttled to shore. Five mutineers now remained, and none of them was particularly big on the cause. So Von Hoydonck followed up his successful bluff by clambering up the rigging in the dead of night to raise the flag of distress. He then took to the deck with a pair of revolvers and waited for morning. 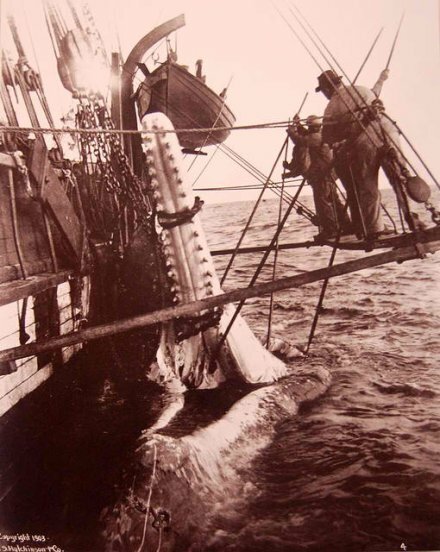 The bottles had done their job, and the French man-of-war Tirailleur was dispatched immediately when authorities heard of the trouble; her crew quickly spotted the Lennie. The six who had gone ashore were almost as swiftly rounded up on the mainland. In all, eight of the 11 on board were put on trial, and only the four implicated directly in the murders of the officers were found guilty* and sentenced to death. Strangely, the ship’s story has slipped into obscurity,† perhaps because reality in this case sounds like a plot written for 8-year-olds. * Though the vessel’s occupants had mutinied, the British had the crew extradited under charges of murder. Two of the defendants were released by the technicalities of the extradition treaty. ** Constant von Hoydonck went on to own a pub in Middlesex and was bankrupt by 1892. Henri Trousselot moved to New Zealand, where he and others are memorialized for attending to a double shipwreck in Timaru; he lived to 66. 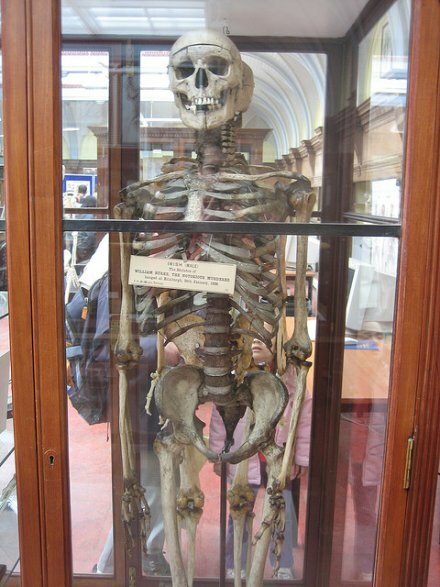 † The Record of Yarmouth Shipping reports that the Lennie was refitted and carried on to New Orleans with a new crew. 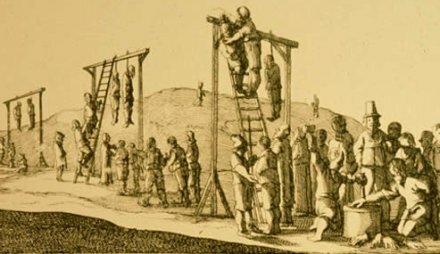 On this date in 1675, Puritan colonists’ hanging of three Wampanoag Indians helped trigger a brutal bout of ethnic cleansing, King Philip’s War. The condemned men’s victim, Wassausmon — known by his Christian, Anglicized name of John Sassamon — was a converted Massachuseuk, briefly a Harvard attendee (1653)*, and eventually a translator for several tribes when dealing with the early settlers. Sassamon fought on the colonists’ side during the Pequot War, which has graced these pages before, and was generally seen as very sympathetic to the colonial cause, at one point becoming a schoolmaster at the inception of the towns of Natick and Ponkapoag. After his work as a translator, Sassamon returned to the Puritan fold to become a minister in the Plymouth Colony. Because of his high position in both the white and native worlds, though, he drew some resentment from both sides. It was Sassamon’s sense of loyalty to both sides of the growing tension between the natives and colonists that led to his demise. King Philip (natively known as Metacomet) became head (Sachem) of the Wampanoag Confederacy in 1662 after his brother’s death. Though initially trade-friendly with the burgeoning colonies to the north and east, the Wampanoag were also feeling the squeeze from the Iroqouis Confederation gaining power to the west. In 1671, the colonies presented the Wampanoag with an ultimatum: give up their arms and submit to English law, or be forced out. The colonists had tried this tactic before with the Pequot (hence the Pequot War), Narragansett, and other native tribes with great success. As expected, Philip blinked, and the English moved in. But the Sachem was predictably unhappy with the relationship. Three years later, he had assembled a band of warriors and was ready to, er, renegotiate. 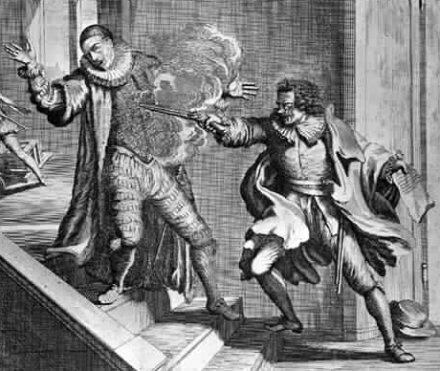 Sassamon got wind of Philip’s planned attack on Plymouth Colony and warned its governor Josiah Winslow. Two months later, Sassamon was fished out from under the ice of Assawompset Pond. 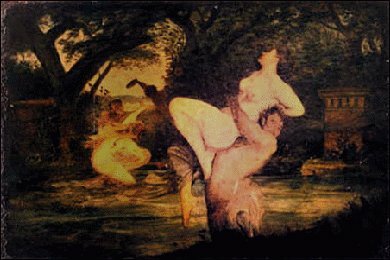 With one witness claiming that a trio of King Philip’s men had knocked off the translator and dumped the corpse, the Puritans became convinced that Philip was already getting involved in their affairs. 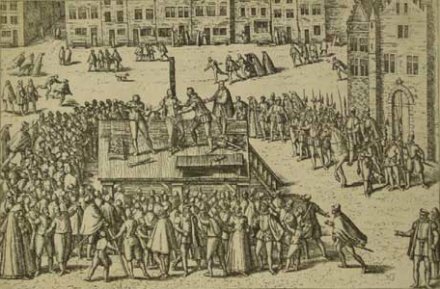 The executions helped bring tensions to the breaking point, and Philip decided it was his time. On June 18, he launched an attack on homesteads in Swansea, and the war was on. The colonists struck back, laying siege to Mount Hope with the thought of gutting the insurgency by capturing its leader. That move failed, and King Philip escaped to recruit more tribes to his cause. Eventually, the forces included five major native tribes fighting colonists and two other major tribes. Things got ugly fast: the conflict would become one of North America’s bloodiest colonial wars, and touch everyone who lived in the region. In September, the New England Confederation officially declared war on the Native Americans of the area. After suffering months of casualties, the colonists finally gained a foothold in the conflict in December. 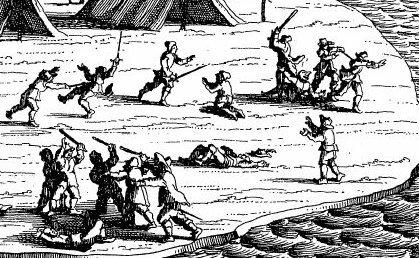 By spring, King Philip’s War was in full swing, with atrocities happening on both sides. But the native forces were being worn down, and the colonists began clawing back. Despite rampant destruction of towns across the colonies (including complete abandonment of a dozen or more), the colonists had fortresses to retreat to and boats to resupply them; the natives needed to trade with the colonists to get their arms. The situation was unsustainable, and when Canadian supply lines fell through, King Philip’s adventure was over. 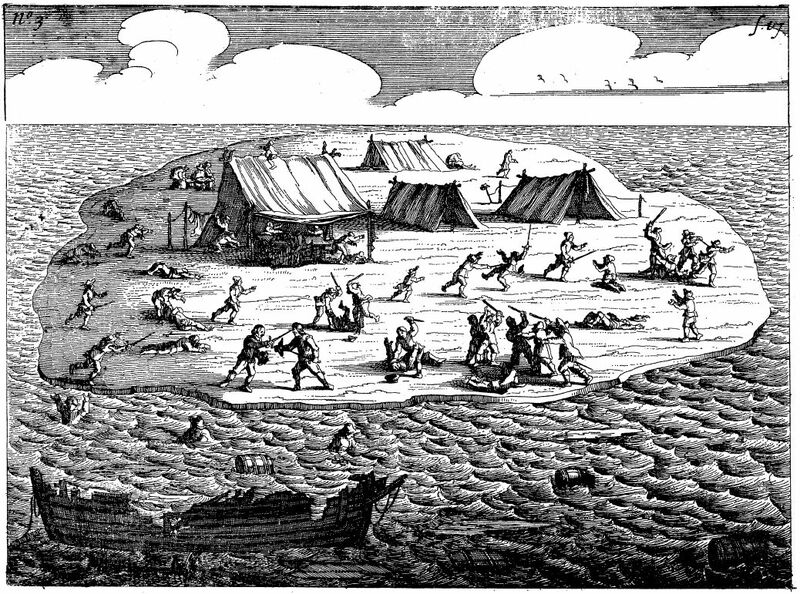 Persistent enemies of many of the raiding tribes, the Plymouth-allied Mohegans took the offensive and broke up Philip’s warrior bands, scattering them across the Northeast. By the following summer, the Narragansett were defeated and dispersed, and the colonists were granting amnesty to natives who surrendered and could document non-participation. (Others were not so lucky.) In July, King Philip himself was isolated and on the run, taking refuge in Mount Hope. It was there that John Alderman, a Native American, shot him on August 12, 1676. 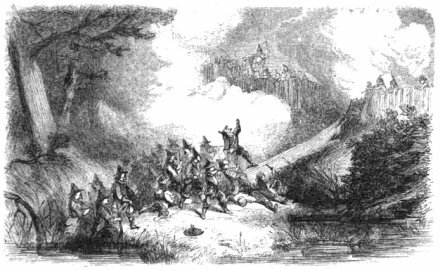 1857 Harpers magazine engraving of the attack on King Philip’s last redoubt. 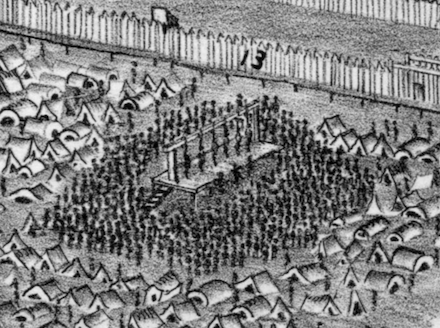 Philip’s body was mutilated: he was quartered and beheaded, and his head was displayed in Plymouth Colony Fort for years to come. After the war, Mary Rowlandson, who was taken captive by Philip’s men, wrote a memoir about her experience. 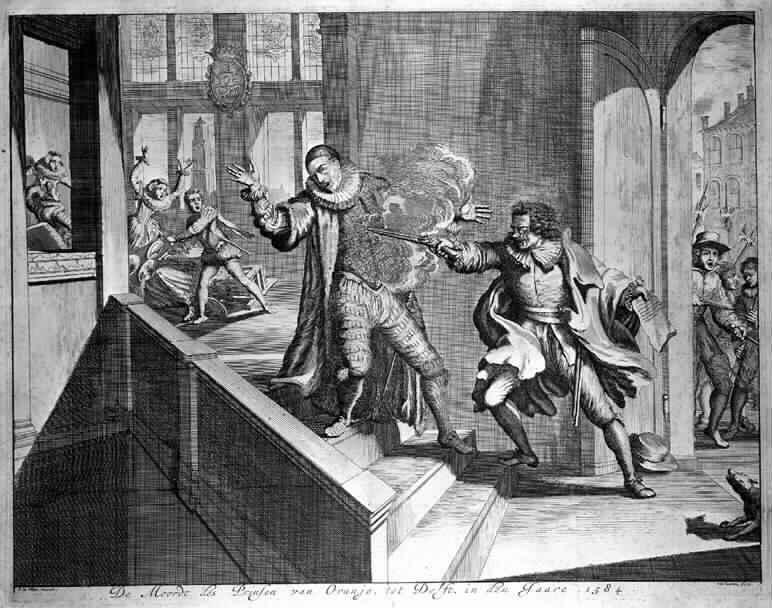 Philip’s escapades were also later made into a play. * Harvard, founded in 1636, started its “Indian Harvard” in 1655 which saw a total of five students: Caleb Cheeshahteamuck (Aquinnah Wampanoag) took a degree in 1665 and died of tuberculosis a year later; classmate Joel Iacoombs (Aquinnah Wampanoag) disappeared in a shipwreck off Nantucket before walking; John Wampus (Aquinnah Wampanoag) bailed after a year and went to sea; and Benjamin Larnell and an otherwise unnamed “Eleazer” caught smallpox and died the year they enrolled. 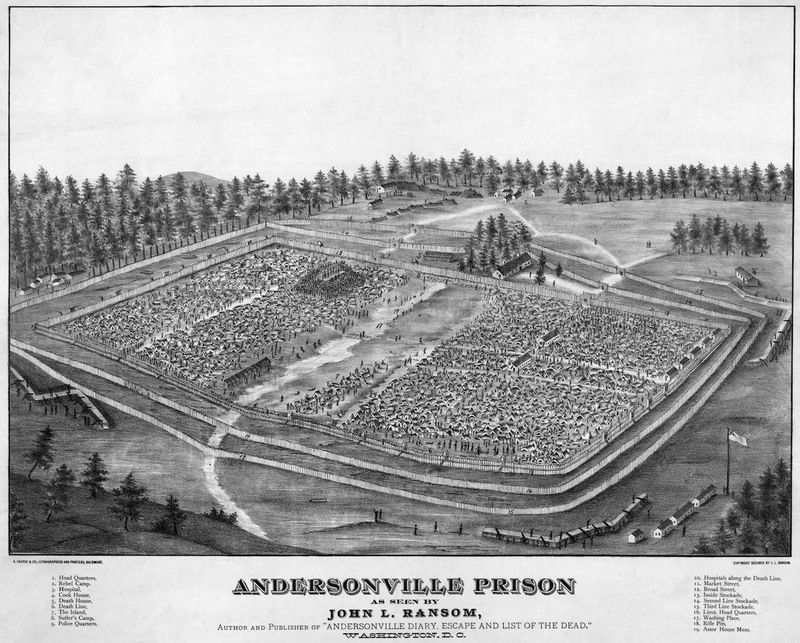 ** One account reports that only two of the Indians died on the first drop; the third was spared by his rope breaking, and after confessing the guilt of all three, he was re-executed.